African population in Malaysia has been actively growing in the past two decades. A few Africans arrived as construction workers to build the venues for the 1998 Commonwealth Games in Kuala Lumpur. A decade later, many more young Africans streamed into the country in pursuit of good-quality and low-priced higher education. According to the Malaysian Immigration Office, more than 27, 000 visas were issued for students from African countries in 2015. The majority of the African students in Malaysia come from Nigeria, Sudan, Libya and Somalia. However, as shown on the tertiary education interactive map of UNESCO, almost all African countries are represented by at least a couple of students. Such drastic increase in African population did not go unnoticed in the Malaysian society. New faces, so different from the common ethnic composition of Malaysia (the three main ethnic groups of Malays, Chinese and Indians), attracted attention and formed different attitudes toward the newcomers. While the majority of locals are rather skeptical or even negative in their reactions to Africans due to prejudice, lack of knowledge and media characterization of Africans as criminals, some people show profound interest in learning more about them, become friends or even marry. During my stay in Malaysia in September 2017, I met Zaila Mohamed Ali (pen name Paola Kira Ewusi), an editor in the local newspaper called Sinar Harian and a writer. Since 2011, she is married to Pius Khalid Ewusi, who came to Malaysia from Ghana to study. 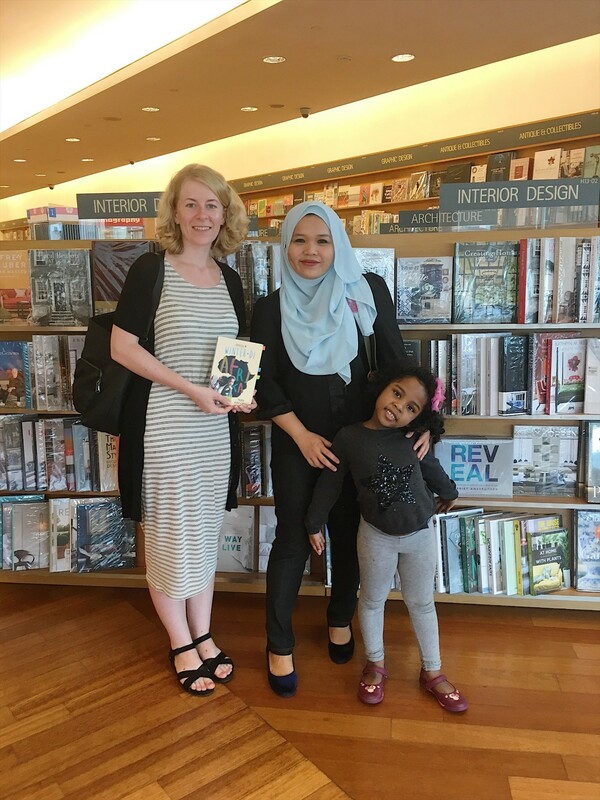 Concerned with the negative image of Africans in Malaysia, discrimination and the consequent daily difficulties she and her family had to face, she wrote a book about her travels to Ghana in hope to change the negative perception towards people from Africa. 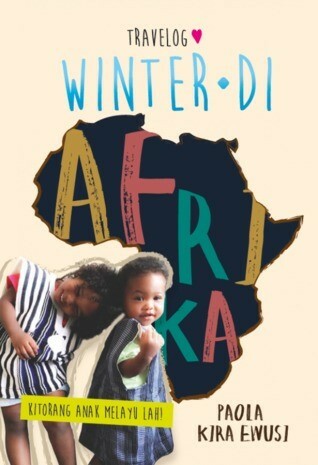 The book, “Winter di Afrika”, labelled as travelogue, is written in Malay and published in Malaysia in 2016. It reports about Zaila’s visits to Ghana in 2011 and 2014. By describing local realities such as shopping at daily markets, cooking traditional dishes, taking care of children and practicing Islam in Ghana, Zaila tries to prove wrong stereotypes of Malaysians towards Africa and its people. Below, I present some extracts from my interview with Zaila, which would shed light on the main motivation behind writing “Winter di Afrika” as well as difficulties of living and raising children in mixed-race African-Malay marriages. Interviewer: What was your main motivation behind writing “Winter di Africa”? Zaila: The idea of writing it came to me when I went to Ghana, my husband’s homeland. When I went there, I saw many things Malaysians are unaware of. For example, people here think that Africa consists of poor people or harsh people, who don’t respect others. However, when I went there, I realized that the people were nice, food was good and the culture was fascinating. Being a journalist and an editor, I quickly realized that what I saw and experienced in Africa had not been written anywhere in Malaysia before. So I decided to be the first one and write a book about Africa and open the eyes of Malaysians to this continent. Interviewer: What was your main aim? Eye-opening? Zaila: Open the eyes of Malaysians was my main aim. Besides, I wanted to show to my audience that nothing was impossible in love, if that’s okay to say. You should know that marrying an African man is not easy for a Malay woman like me. Malaysian perception towards Africans here is quite negative. People think that Africans are here to do illegal things, that they are not good people generally. My aim was to prove to those people that there were many good Africans who take care of their family and friends (like my husband). Interviewer: What was the feedback from the readers? You wrote your book in the Malaysian language, which means that the local population can read it. Zaila: The moment my book was published, I started getting a lot of responses, especially from women in Malaysia who are married to Africans. Some Africans approached me too, because they wanted to read the book, but could not as they could not speak Malay. They asked me if I could translate the book to English so that broader audience could read it. Interviewer: Do you have plans to translate it? Zaila: I would like to, but I haven’t done anything in this regard yet. I have to discuss the copyright issues with my publisher first. I have to add, that the women in Malaysia, who are married to Africans, were very happy about the book. They said they felt that I was representing all of them. Previously, no one except us knew all the “sufferings” of being married to an African here: the way people are looking at us and our kids, thinking that our husbands are criminals. I also got feedback from Malaysians who were not married to Africans, but interested in Africa. Interviewer: Do you think that your book can play a role in changing the negative perception towards Africans in Malaysia? Zaila: Some Malaysians need to be educated about African cultures. They don’t know about different countries, different languages and cultures in Africa. However, contribution of media to the negative image of Africans is very considerable. There are so many news about African scammers, drug dealers, etc. in the news. Even after reading my book, some people might still think that I was exaggerating or lying to depict my husband in better light. Interviewer: Would you like to continue writing on this or similar topics? Zaila: Yes. Next I would like to write about problems of bringing up mixed-marriage African kids in Malaysia. I have wrote many things about it on my blog (www.paolakiraewusi.com), and I plan to continue writing. Another book, “Satu” (One), was published in Malaysia in the end of 2016 and consists of stories from four Malaysian authors, including Zaila. In her writing, she describes everyday difficulties of a Malay woman married to an African man in Malaysia. By giving an example of house renting, she demonstrates how deep the prejudice and even racism of local population towards Africans is, and how challenging (both physically and morally) a mixed-race marriage could be. As Zaila confesses, she had to first hide the identity of her husband from the landlord and arrange the house renting all by herself. Otherwise, it would be virtually impossible to rent a house for a Malay- African couple, even though legally married and officially employed. Interestingly, the number of Malay-African marriages in Malaysia has been growing in the past few years. In most of them, a Muslim Malay woman marries a Muslim African man. Even though no exact numbers could be obtained, such marriages already amount to several thousands. This new development is even more interesting as it gives way to new afrasian social networks being shaped in the country. Some of the examples include “Afro Asian Community” with 1,291 members on Facebook (September 2016); “Afro-asians” group for Malay wives of African men (524 members on Faceboon in November 2017); and “Africanasia Moms Club” with 489 members (November 2017). The primary aim of these groups, which are operated via Facebook and Whatsapp chats, is to create a new platform for interactions as well as encourage exchange and support among members of the newly shaped community of Malay-African spouses. When asked about future of Africans in Malaysia, Zaila said that she would expect more migrants from African countries to come. According to her, those married Africans in lead “a good life” in Malaysia and set an example for their friends and relatives back home. 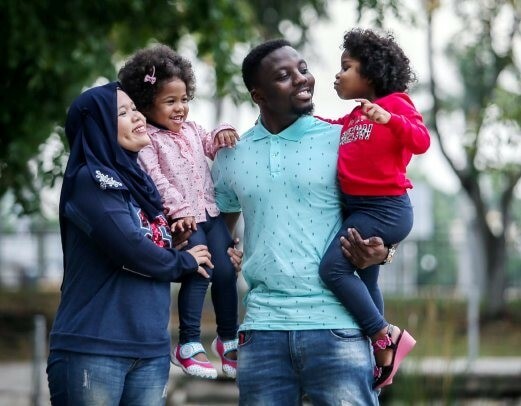 As a result, what we might observe in future is a gradual shift of the main rationale behind African migration to Malaysia from higher education to successful marriage and “happy ever after”. Time will show!